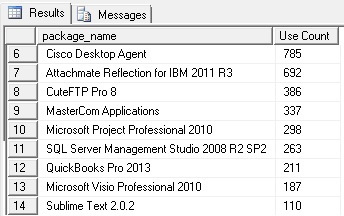 If using standalone AppV 5.0 infrastructure, use the following SQL query against your AppVReporting database to retrieve a list of apps run by users on by date. 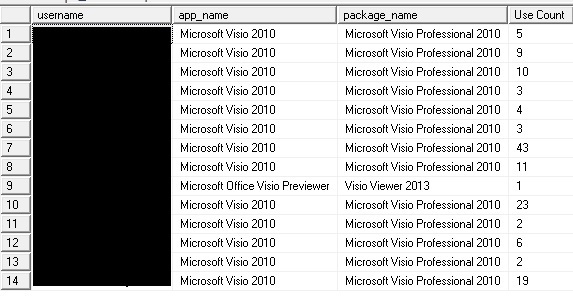 If using standalone AppV 5.0 infrastructure, use the following SQL query against your AppVReporting database to retrieve a count of most used applications. 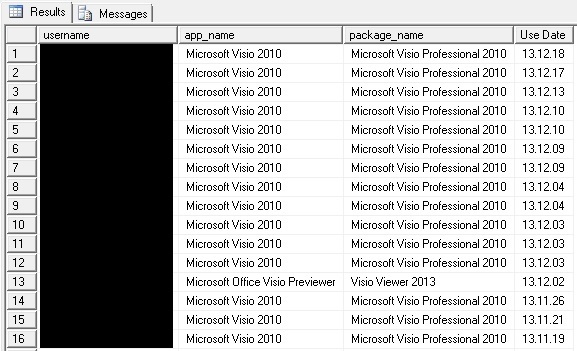 If using standalone AppV 5.0 infrastructure, use the following SQL query against your AppVReporting database to retrieve a count of application usage by user.